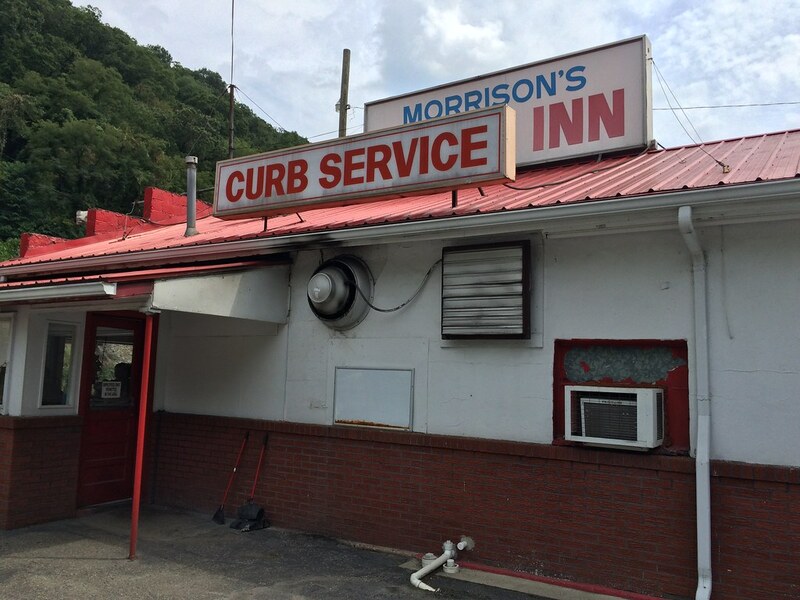 West Virginia is home to about a dozen drive-in restaurants that continue to thrive despite being about a half-century removed from their prime. The drive-in is reminiscent of a simpler time when eating out at restaurant wasn't the norm, and there's something fun about participating in this iconic Americana experience. Carhops skating around, jotting down orders on paper pads and racing them to the kitchen. They return with a tray full of (often) fried foods or juicy cheeseburgers that rest on the car window. The 1950s drive-in is still alive in parts of West Virginia, with carhops slinging milkshakes and orders of french fries to lines of automobiles. And loyal customers return to their beloved drive-ins time and time again for the homemade recipes and to support a local business. Get out your map. Pull into a drive-in restaurant on this list. Park near a menu. Wait for a carhop (hopefully on roller skates!). 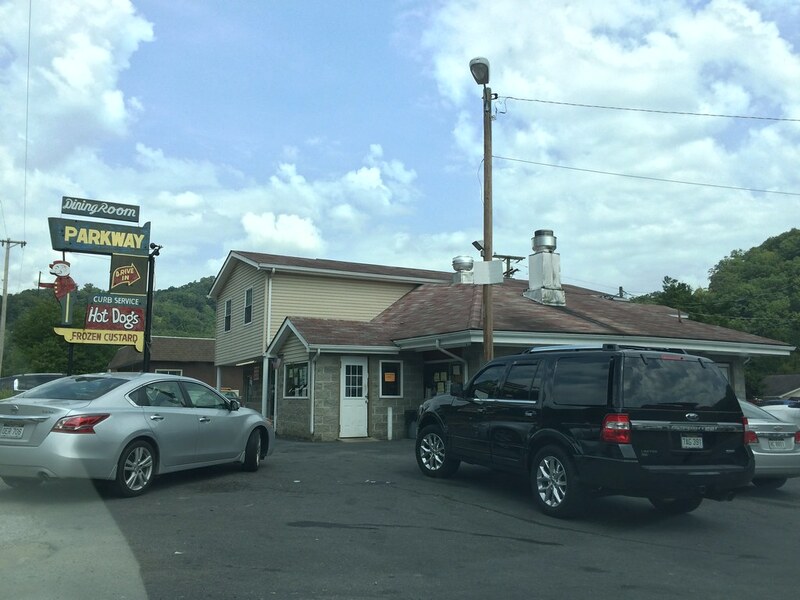 Order something delicious (can't go wrong with a West Virginia-style hotdog, cheeseburger or milkshake). Make sure to have your window rolled down so that just about 1/3 or 1/4 shows; the carhop will place the tray on your window. Chow down. Wait for them to pay (usually with cash). Sometimes they will leave the change on your tray. No worries, they will have bills handy. When you're finished, turn on your headlights (or honk in some places), so they take the tray and you can be on your merry way. 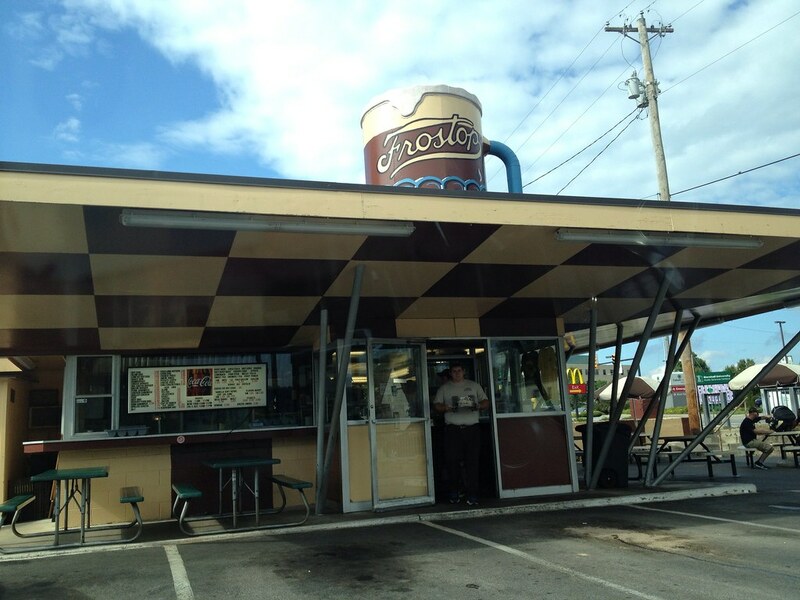 Monday through Saturday 10 a.m.-10 p.m. and Sunday 11 a.m.-10 p.m.
Drive toward the giant, mesmerizing rotating root beer mug atop the Frostop Drive-In in Huntington to lead yourself to the best root beer float (in a frosted mug) you may ever experience. Frostop, once a well-known drive-in franchise, has just a few locations remaining in the country and is the only remaining location in West Virginia. The 1959 restaurant encourages customers to honk their horns for service so that a carhop, donning yellow or brown shirts with brown caps with 'Frostop' written in the cursive logo, will arrive. My trip to Frostop came on the heels of a daylong hotdog festival, but they also have a tasty hotdog. 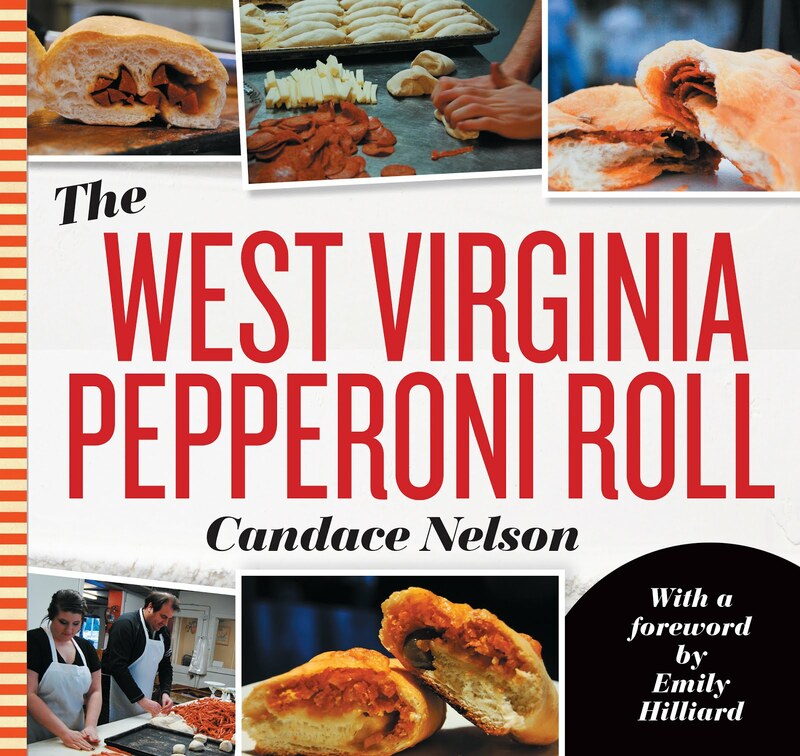 Get it the West Virginia way: with chili, slaw, mustard and onions. The hot dogs are boiled, and buns are steamed. The chili sauce is a family recipe that has been passed down through generations. Mon.-Tues. 10:30 a.m. -11 p.m.; Thurs.-Sun. 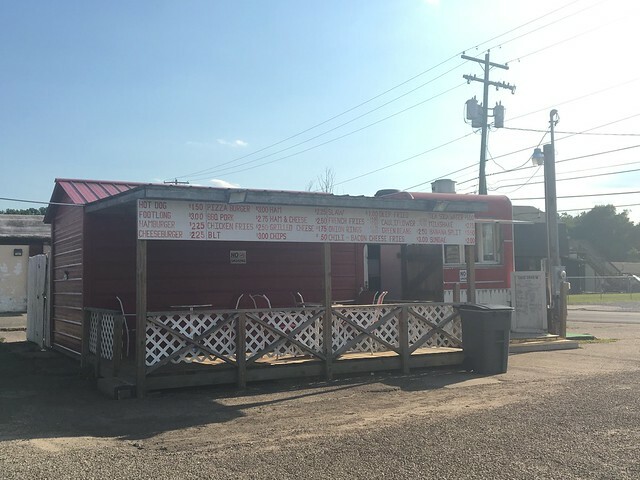 10:30 a.m. -11 p.m.; closed Wed.
Beckley's King Tut Drive-In has a huge menu, offering everything from sandwiches and burgers to plated dinners, like meatloaf, chicken strips and seafood. King Tut also takes credit for introducing pizza to the Beckley area. At first, the restaurant had trouble selling pizza before it caught on big time. Try one with pepperoni! Monday through Saturday 9 a.m. to 9 p.m. The restaurant is closed Sundays. 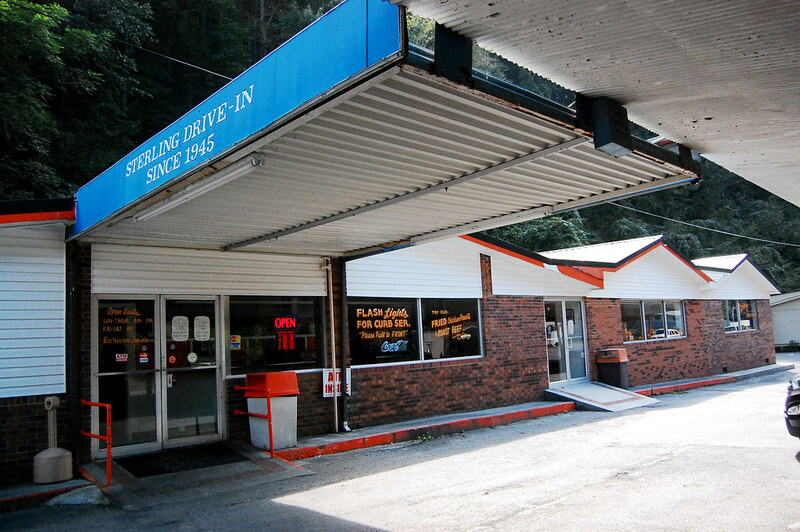 Wyoming County's drive-in restaurant has had a loyal following since it opened in November 1968. Check out their "sandwich specialties" that range from a "Big John" (ham, swiss, salami, lettuce, tomato and mayonnaise) to a "Submarine" (turkey salad, bacon, lettuce, tomato, mayonnaise and cranberry sauce). 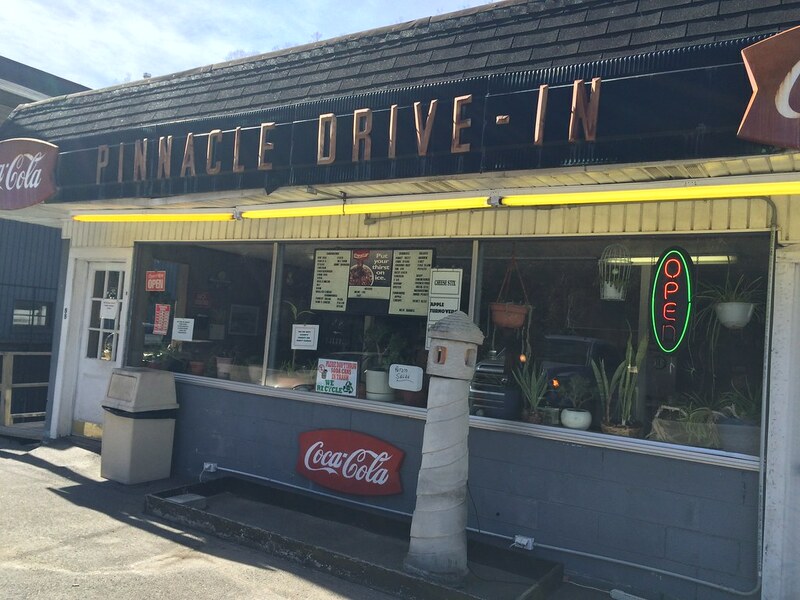 Pinnacle Drive Inn's hot dogs are served with fresh chili and in a toasted English bun. Sunday through Thursday 10 a.m. to 8 p.m.; Friday and Saturday 10 a.m. to 10 p.m. The Sterling Drive In is known for their "Signature Sterling Sub." It has cranberry sauce, bacon, lettuce, tomato and their special "spread" on a deep-fried bun. Try the delicious specialty next to one of the many ATV riders who will likely be parked beside you! Monday through Sunday 9 a.m. to 9 p.m. 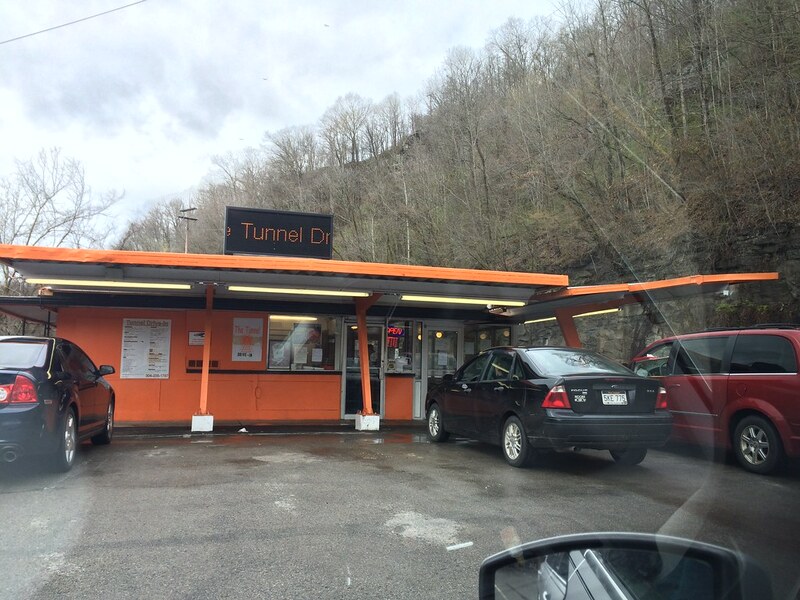 The Tunnel Drive-In is bright orange and will lie just beyond where your GPS tells you it's located. Once it says you're nearby, just look for the bright building! Hotdogs, hamburgers, milkshakes and lots of fried sides are the name of the game at the Williamson Drive-In. Check out the Tunnel burger - a 1 lb. burger with all the toppings! Monday through Sunday 11 a.m. to 6:30 p.m.
You guessed it - hotdogs are another favorite at Biggie's in Grafton. There is a small dining area inside if prefer. Dig into a cheeseburger, a BBQ pork sandwich, or a fish sandwich. Don't forget a side of cheddar cheese balls and dessert! Mon.-Tues. & Thurs.-Sat. 10:30 a.m.-5 p.m.; Wed. 10:30 a.m.-2:30 p.m.; Closed Sun. 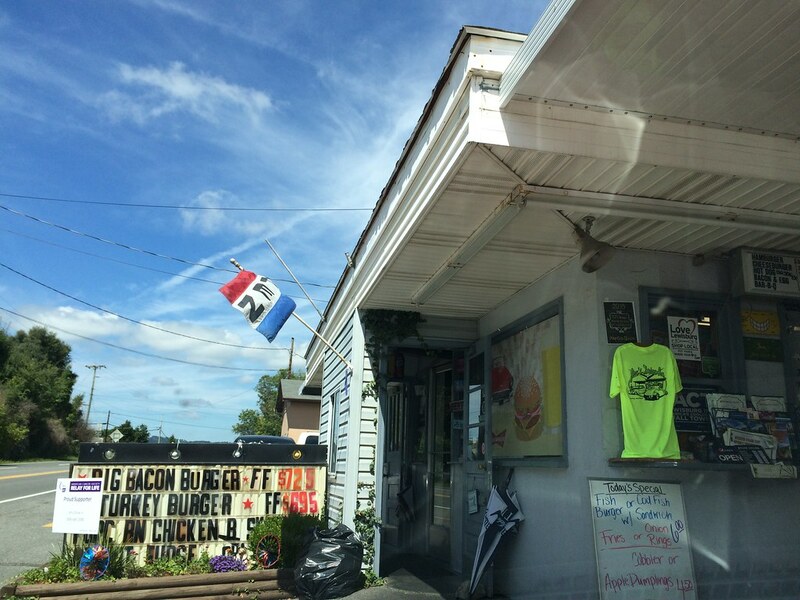 Jim's Drive In, which opened in the 1950s, is known for their "ranch burger," which is a cheeseburger with ham, purple onion and sweet pickles. Try it on for size, but definitely also get one of their dozen milkshakes like a blueberry milkshake or maybe my personal fav - a caramel one. The carhops still carry changers to make change, which is a little slice of nostalgia! 11 a.m to 9 p.m. Sunday through Saturday. Morrison's is best known for its hotdogs, which come wrapped in cellophane. 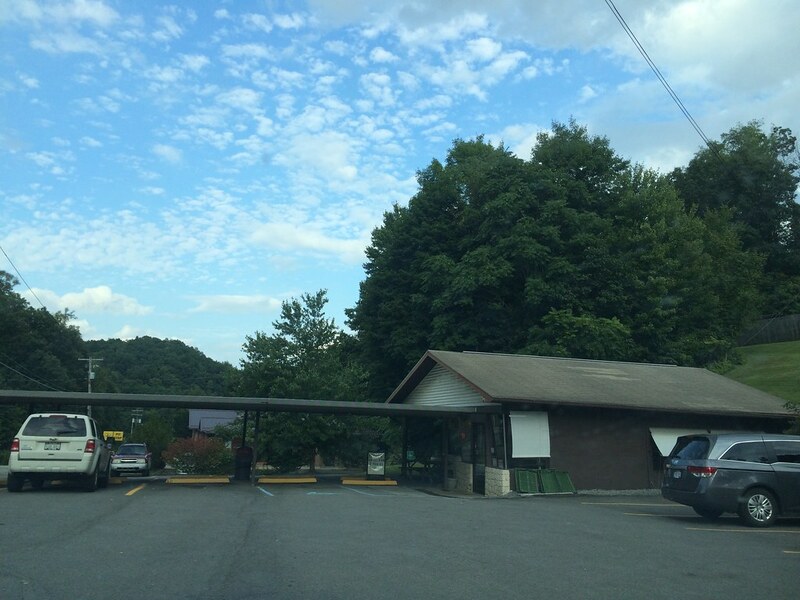 They were once voted as the best hotdog in West Virginia and are by far the most popular drive-in in Logan. 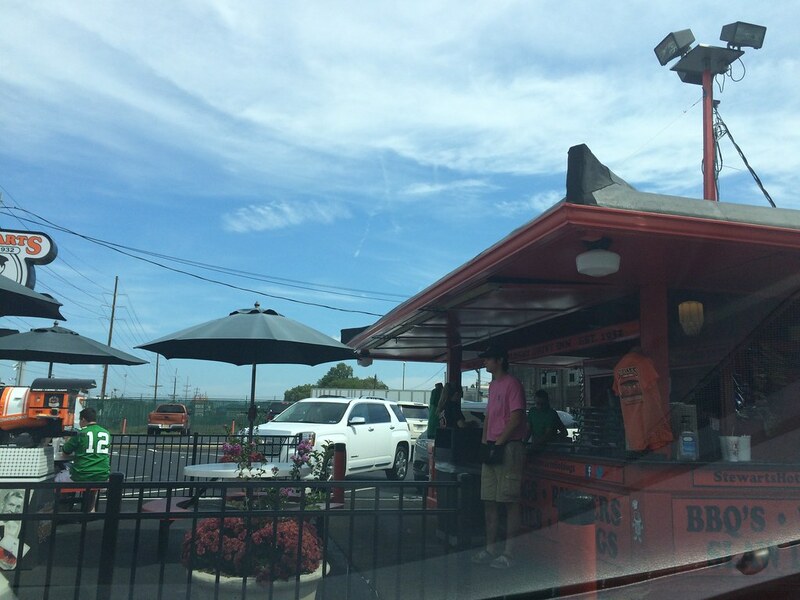 Logan boasts three thriving drive-in restaurants from the same family, all of which have similar menus but individual recipes. Make sure to get their chili, which packs a little kick, and slaw for a delicious hotdog meal. And if you're not feeling like having dinner in your car, Morrison's also offers picnic tables to enjoy your meal outside. 8 a.m. to 9 p.m. Monday through Saturday. Closed Sunday. 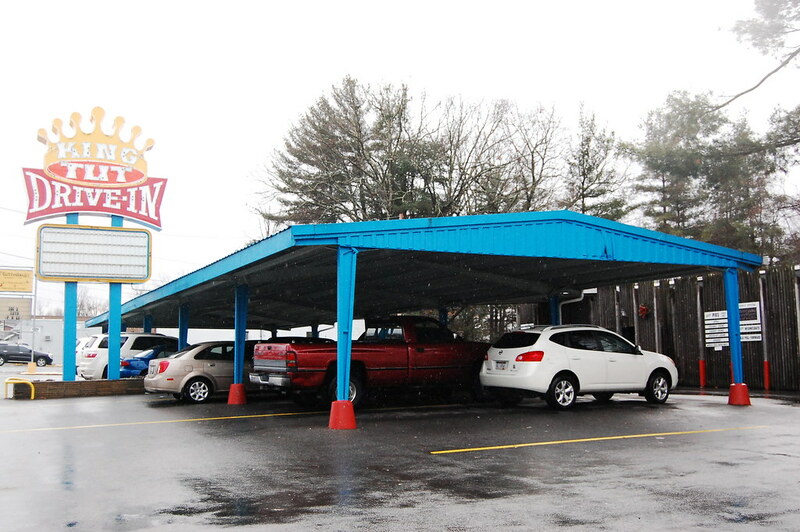 The second of three drive-ins located in Logan, Parkway has its own special appeal. If you haven't already, try a cheeseburger. The restaurant makes a grilled cheese and opens it up to place a hamburger patty amidst the melted cheese. Yes, it's as good as it sounds. 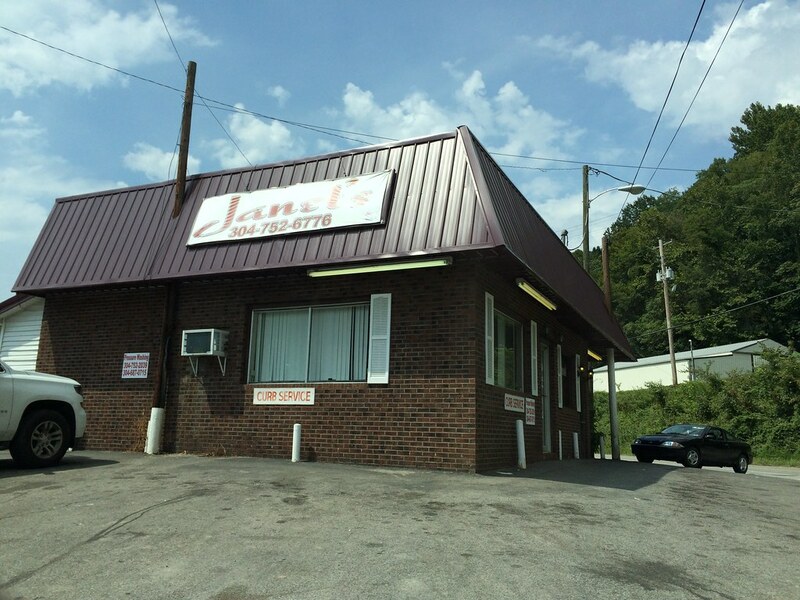 Janet's, the last drive-in in Logan, also carries the tasty hotdogs and grilled cheese hamburgers. But, if you're looking for yet another menu item, try the fried chicken! 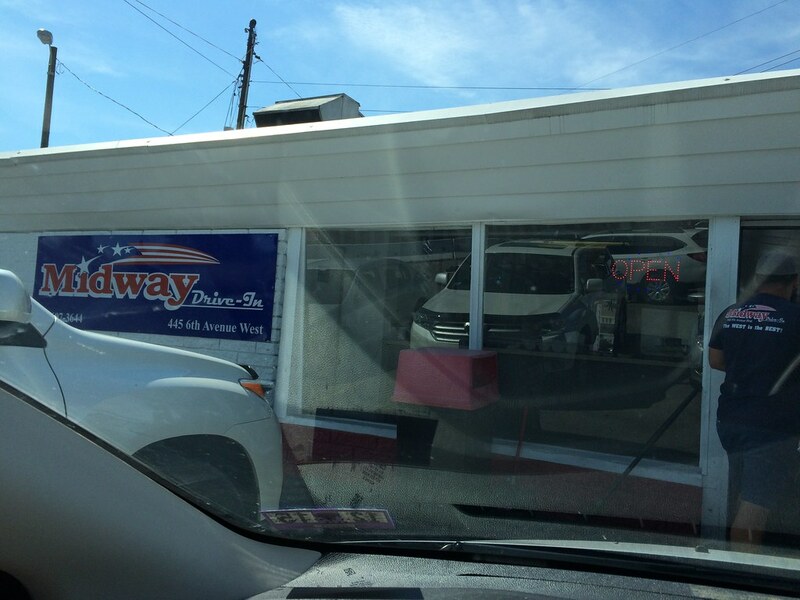 Midway Drive-In has a delicious smoked pork bbq sandwich, served up with slaw. But don't worry - they also boast hot dogs, burgers and other sandwiches for those with varied tastes! Mon.-Thurs. 10:30 a.m.-8:30 p.m.; Fri.-Sat. 10:30 a.m.-8:30 p.m.; Sun. 11 a.m.-8:30 p.m.
Stewarts Original Hot Dogs is known for their hot dogs, so be sure to try one, which comes rolled in a napkin and comes standard with chili, mustard and onions. Mon.-Thurs. 10 a.m.-9:30 p.m.; Fri.-Sat. 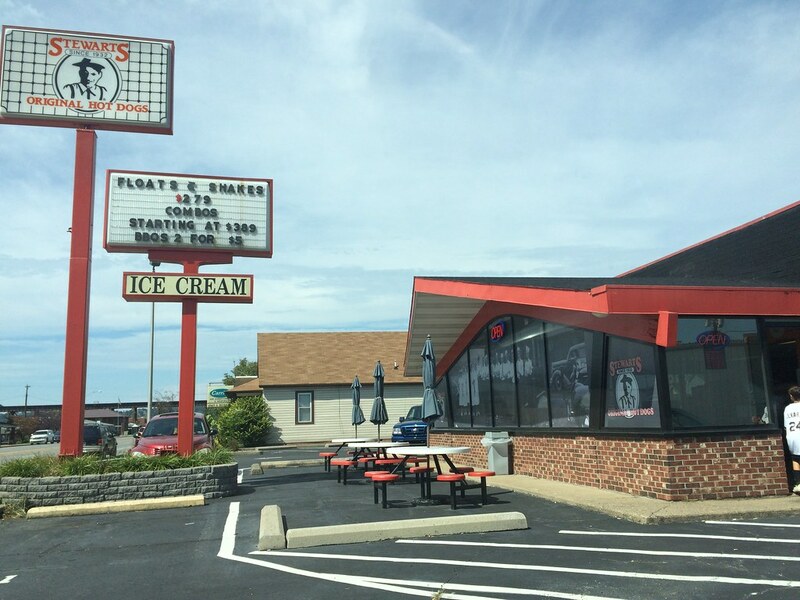 10 a.m.-10 p.m.; Sun.11 a.m.-9:30 p.m.
Stewarts Original Hot Dogs has its original location here in Huntington, and the Kenova was an expanded location. Since I already had a hot dog in Kenova, I tried one of their root beer floats here, and it is incredible - scoops of vanilla ice cream drenched in root beer. Yum! 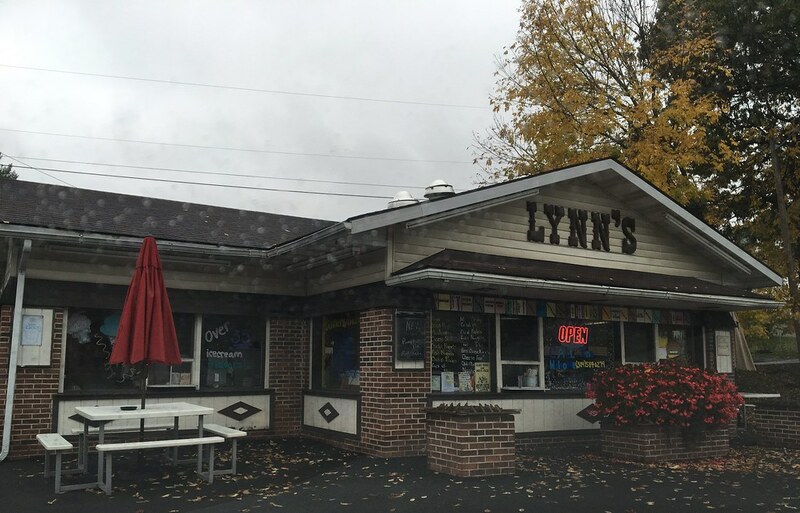 Monday through Saturday 9 a.m. to 10 p.m., Sunday from 11 a.m. to 10 p.m.
Lynn's Drive Inn is located in Bluewell and serves up a mean hotdog, complete with chili and slaw. And, if you're looking for something sweet, the options for milkshake flavors are endless. Davis Drive In is the most northern drive-in in the state, and it may be the most simple. Hot dogs, burgers, bbq pork and fries are the mainstays on this menu. Oh, and don't forget a milkshake or float!